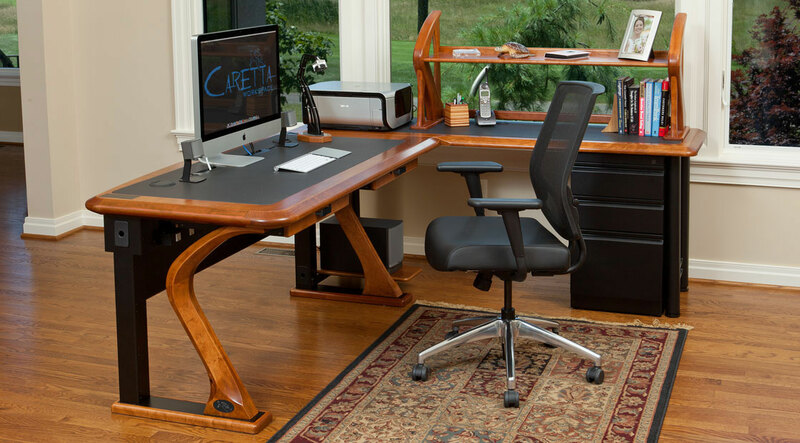 We use classic materials in a modern way to create a workspace that is both functional and beautiful. 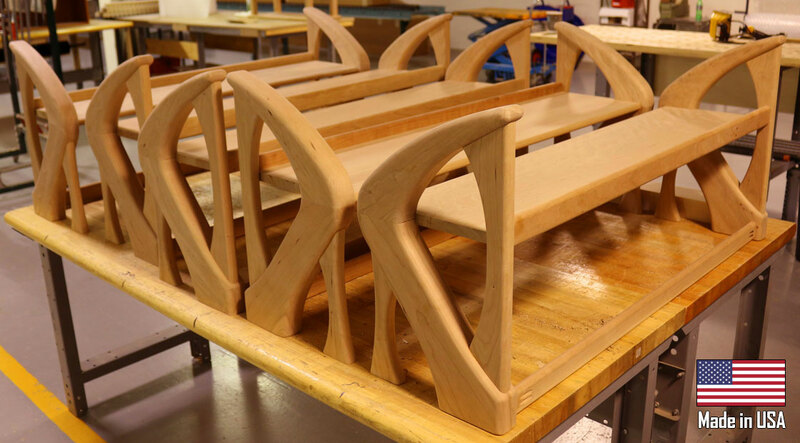 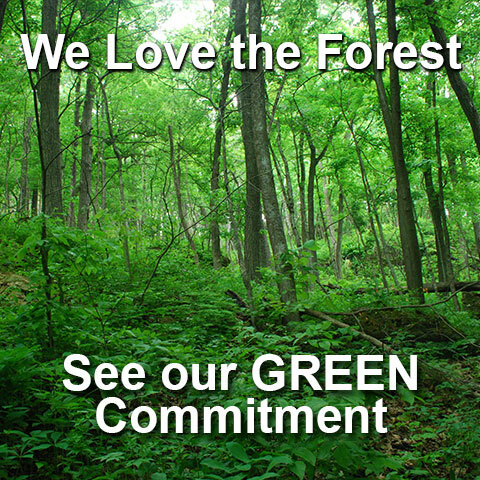 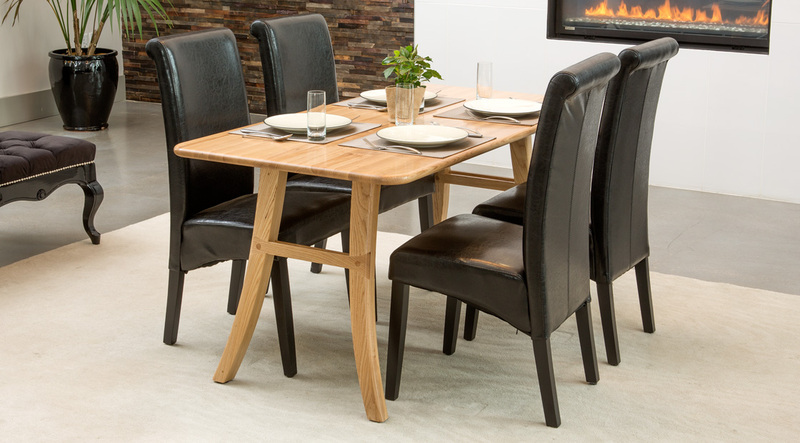 We use only the highest grade solid cherry, ash and walnut to create our products. 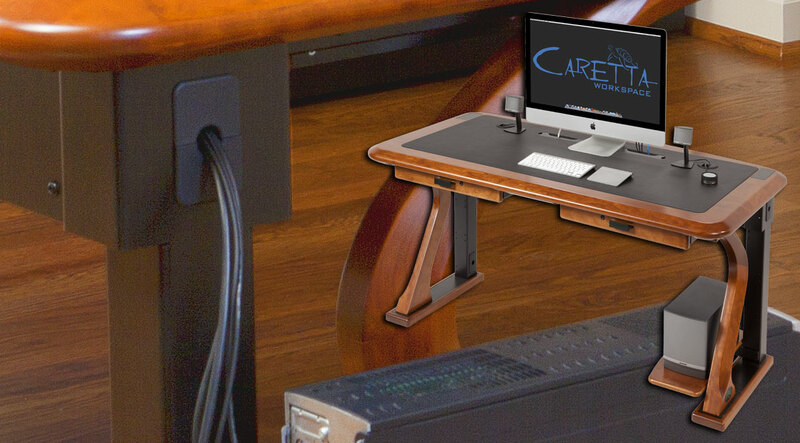 With a large cable tray and integrated power strip, your computer wires and cables disappear. 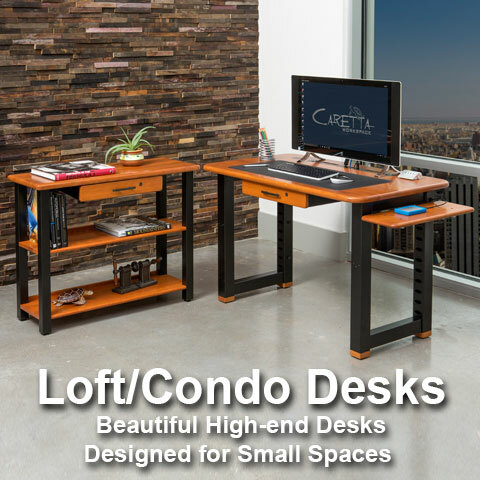 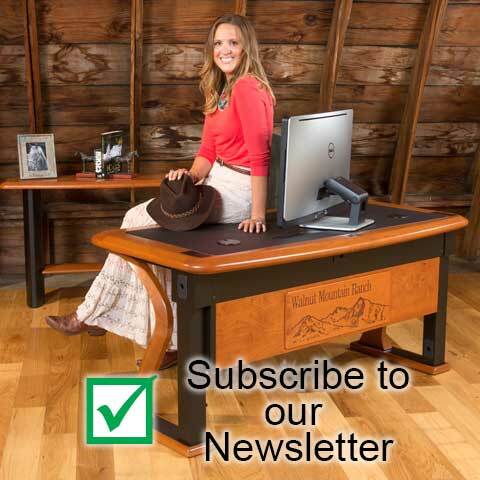 The Loft Series Desks have all of the functionality of a large desk, in a small package. 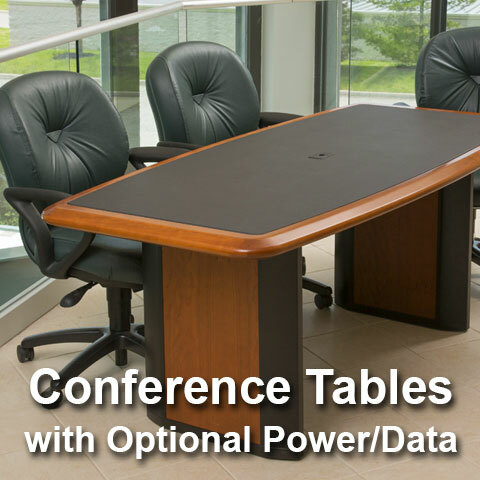 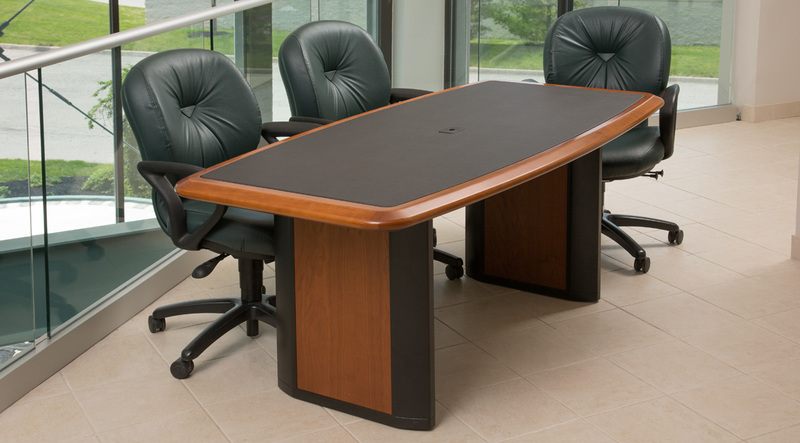 These tables can be equipped with power and data connections to your specifications. 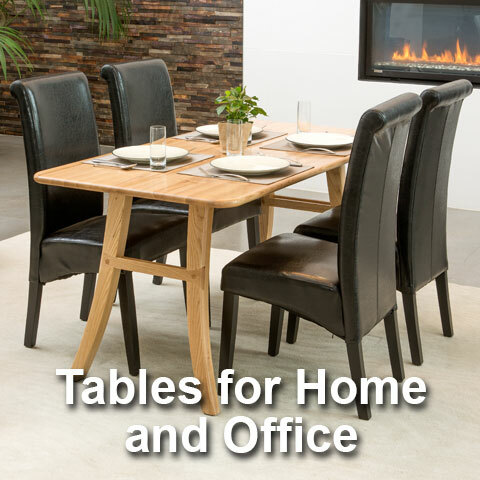 Our high-end tables are both beautiful and functional. 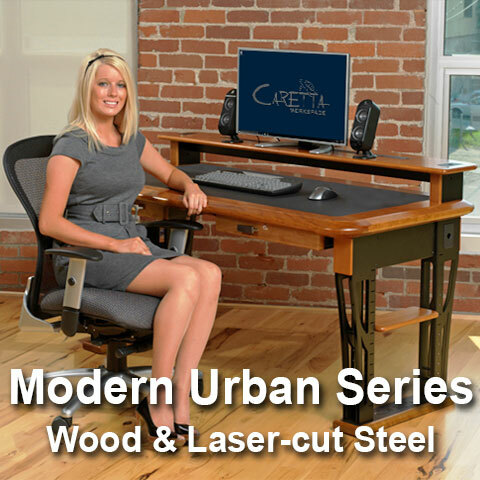 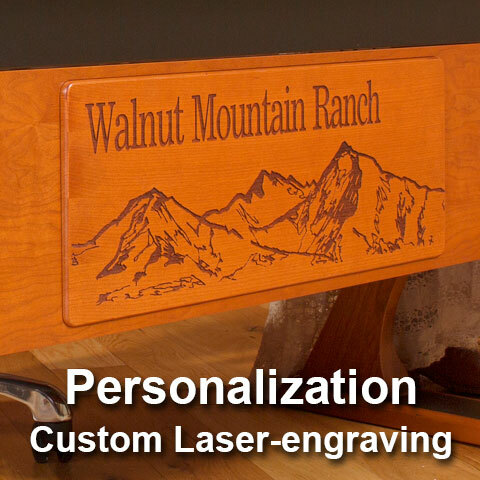 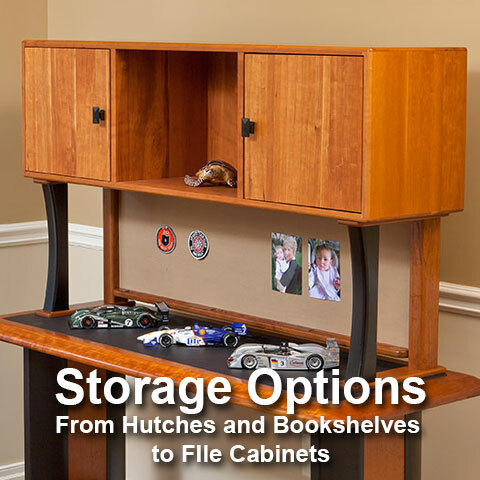 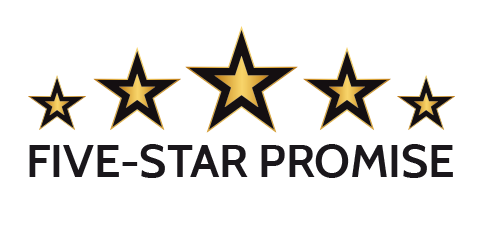 We design, manufacture and sell our products direct from our factory in Columbus, Ohio. 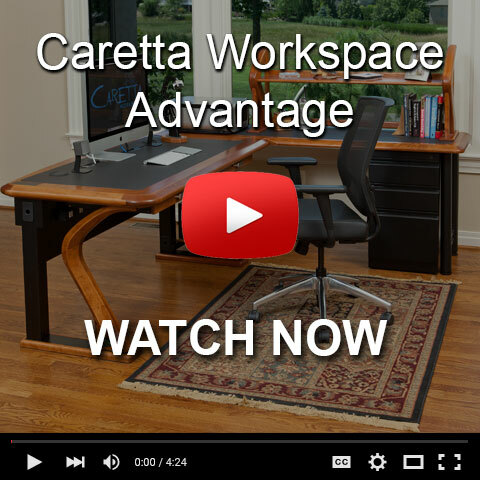 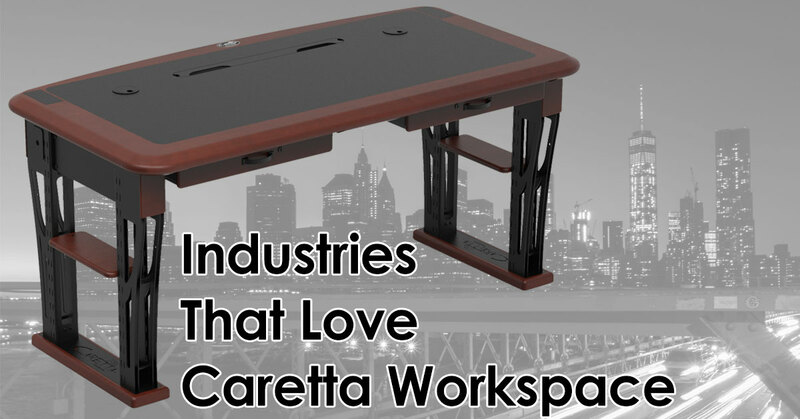 Caretta Workspace blends design and technology to create a work environment that’s personal, beautiful and unlike anything you’ll find anywhere else. 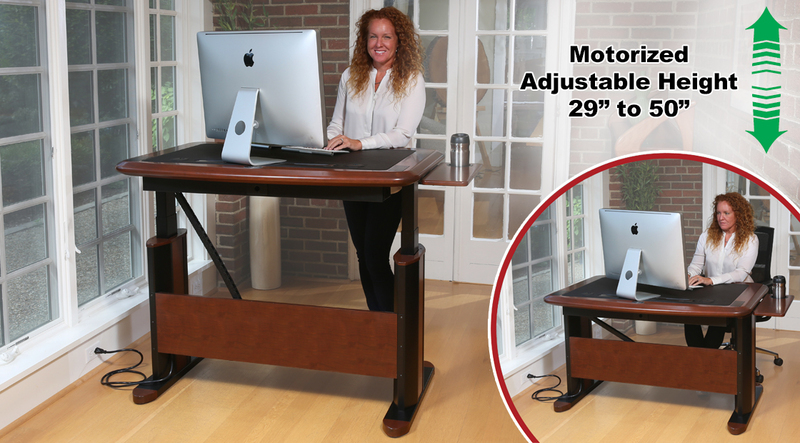 We create a seamless blend of computer to desk, starting with making those tangled piles of wires and cables disappear! 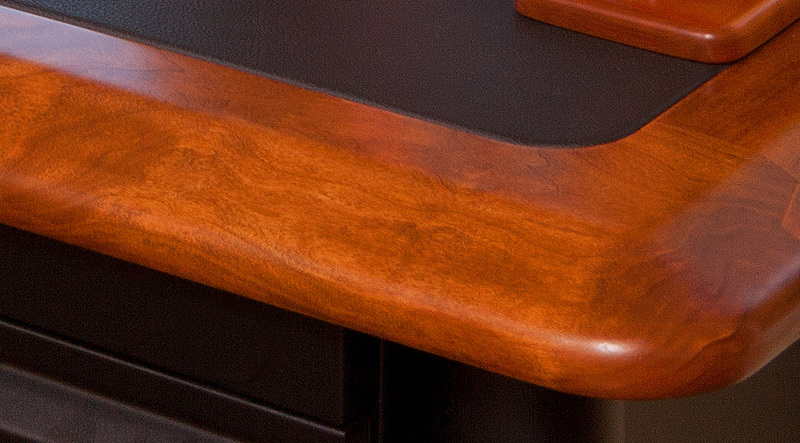 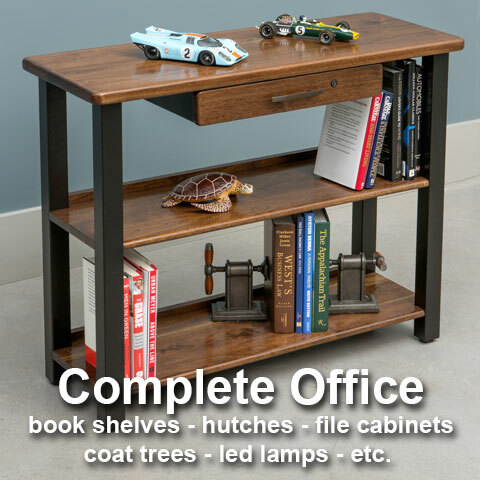 Our contemporary computer desks, adjustable standing desks, tables and functional accessories transform the elegance of solid hardwood furnishings into an uncluttered productivity tool, customized for YOUR work habits and YOUR technology. 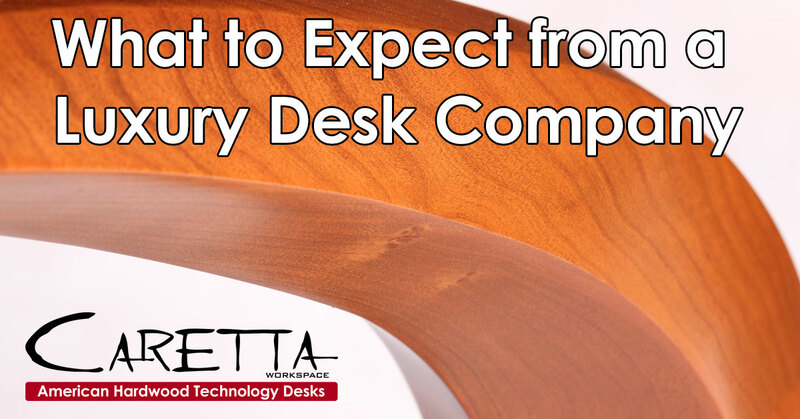 For those who love both design and technology, Caretta workspaces are a quantum leap in ergonomics and versatility, with each desk built specifically for you. 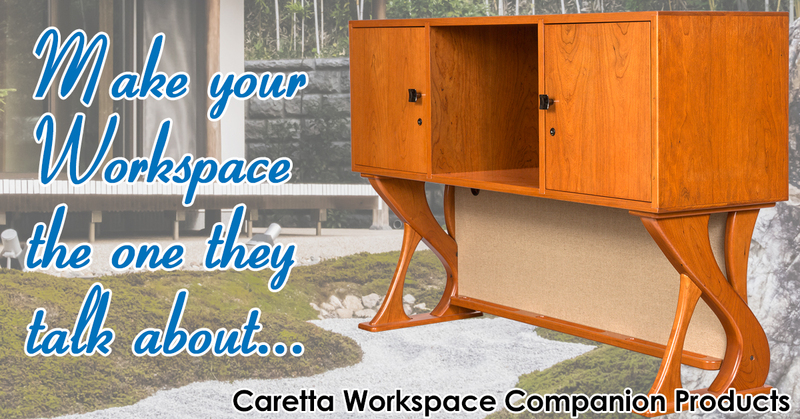 We have the desk that can hide your wires and cables. 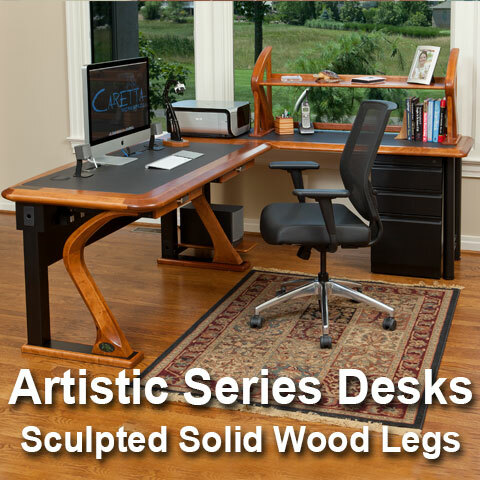 It's more than office furniture, it's functional art.